When I got divorced from an alcoholic 10 years ago, I’ll never forget the feeling of freedom I had. I had escaped my now-ex-husband’s addiction. I’d gotten out. My divorce decree was my ticket to no longer having to deal with his drunk behavior; his altered, sometimes mean, sometimes annoying, sometimes obnoxious personality; and his emotional and borderline physical abuse. Being out of the bad situation meant my three very young children and I were rid of the effects his addiction had or would have had on us if I’d stayed. Man, was I wrong. As the years went by, I started to realize that even though we weren’t living in the same house, I was no longer legally bound to him, and I had no obligation to try to change him anymore (which I now know is impossible). Nothing had changed at all. I would continue to be greatly affected by him because I still cared about him and foolishly thought I could still change him, but it was mostly because he was still my children’s dad. I tolerated his continued drinking, even though I knew my kids were around it while at his house. Legally, there was really nothing I could do other than some stipulations in our divorce decree concerning drinking, designed for my kids’ safety. In my heart, I knew he didn’t have the control to adhere completely to the stipulations, but they made him accountable and therefore more careful. I also made it very clear that drinking and driving was a no-no, and that if I ever found out it happened, I would do everything in my power to make sure the kids didn’t go to his house any longer. I think he got the message loud and clear. But over the years, as the kids grew, something began to happen that would change everything. As my children began getting into their preteen and teenage years, like all kids, they stopped seeing their father (and me, as well) as the perfect parents every little kid sees and started recognizing our flaws. My ex-husband’s drinking was included. They also began telling me stories about plastic cups and their father trying to hide the fact that he was drinking alcohol, telling them it was juice. They told me stories of him falling into a deep sleep on the couch after drinking a bottle of wine, how he and his girlfriend fought about his excessive drinking, and how he would go to the store and buy wine by the case, only to have to replace it a week later. Having been in therapy talking about my ex’s alcoholism for at least 15 years, I am educated on the disease, probably more than most people who have lived with an alcoholic, whether it’s a family member or spouse. I think open communication about alcoholism with my kids helps them understand, in the long run, that their father has an illness, that he isn’t mean or doing it on purpose. He is still a good person who can’t control his disease or admit he can’t. Additionally, talking to kids about the alcoholic gene they have could help them tremendously in the future when they begin to experiment with alcohol. They need to realize that, as children of an alcoholic, each has a 50% chance of becoming an alcoholic. Recently, I received a call from my daughter while she was at her father’s house asking if she could come home because her father was drinking and being mean. That had such an affect on me. I was devastated. It brought me back to the years during my marriage when that had happened to me. It made me cry. It made me sick. I was reliving it. It was my nightmare coming back. I also felt guilty for allowing her to go there, feeling like it was my fault she was in that situation. She came back to my house, and after a few days, she and my ex-husband seemed to be OK. I know there are more phone calls like that one ahead. Still, she continues to want to see her father because, after all, he’s her father and she loves him. But like me, she is probably trying to change him and has false hopes that someday he will magically not be an alcoholic anymore. She is now in therapy, which I am realizing is something that is in my control—unlike most other aspects of this situation. I did end up doing something for myself that was in my control, as well. I went to my first Al-Anon meeting a few weeks ago. Yes, it only took me 10 years. While my therapist had been encouraging me to go for a long time, I didn’t because I was afraid I would see someone I know, and I didn’t want to sit around and talk about my problems with other people. The minute I walked in, I did see someone I know. But honestly, it was comforting, and there was an instant understanding that I wouldn’t tell a soul in my community I saw her there. I knew the same went for her. Also unexpected, I teared up from the start of the meeting and was unable to stop crying the entire time. I couldn’t believe it. It was almost embarrassing. I was thinking, I have been out of this situation for 10 years! Why am I so upset? But the truth was, I felt an intense amount of relief, like a huge weight was lifted off me just by walking into a room with a bunch of strangers who were just like me. I could sense that some healing was taking place just by being in that room, and every person in the meeting told me that everyone cries during the entire first meeting. I’m not saying you go to one Al-Anon meeting and you are healed, but it is a huge step in accepting what happened and finding peace within yourself that you did the best you could, that you had no control over the alcoholic, and that your job is to live your life—not try to change the alcoholic’s. In closing, being divorced from an alcoholic doesn’t magically make everything that happened in the past go away. It takes many, many years, and lots of support, professional help, and faith to heal. Remember that alcoholism is a disease, just like cancer. 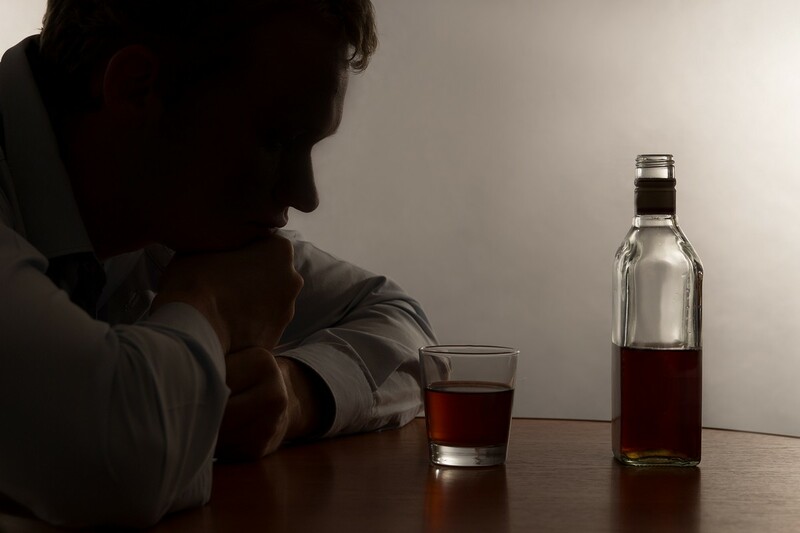 There is no cure for alcoholism, only management of the disease, and that means not only for the alcoholic but also for his or her loved ones. Management means getting support and help, even after a divorce.